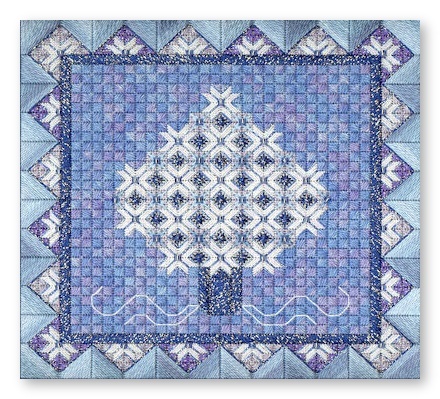 Metro Denver’s fastest-growing needlepoint group, the Colorado Columbine Chapter of the American Needlepoint Guild, meets again on October 19 to resume stitching on ‘Snow Crystal Tree,’ a beautiful wintry design from Nancy’s Needle. 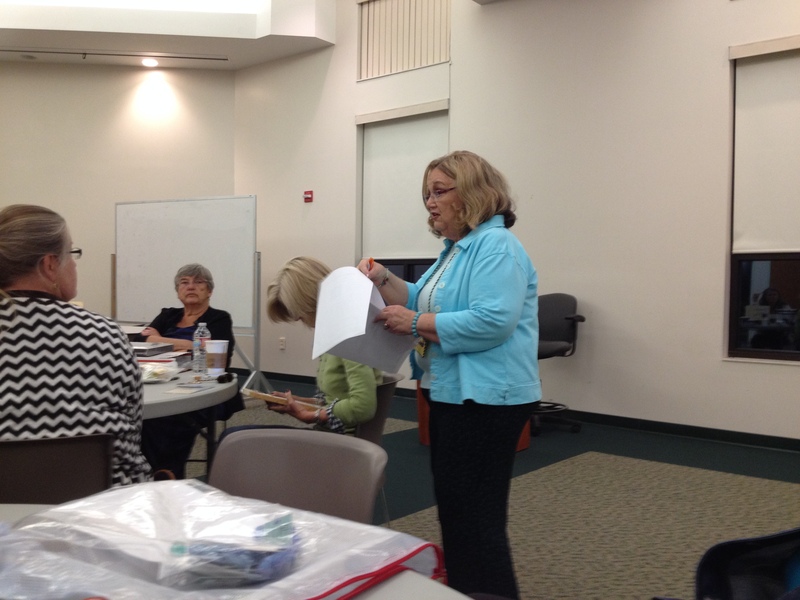 In the photo above, President Gloria M. leads a brief business meeting before the start of class in September. 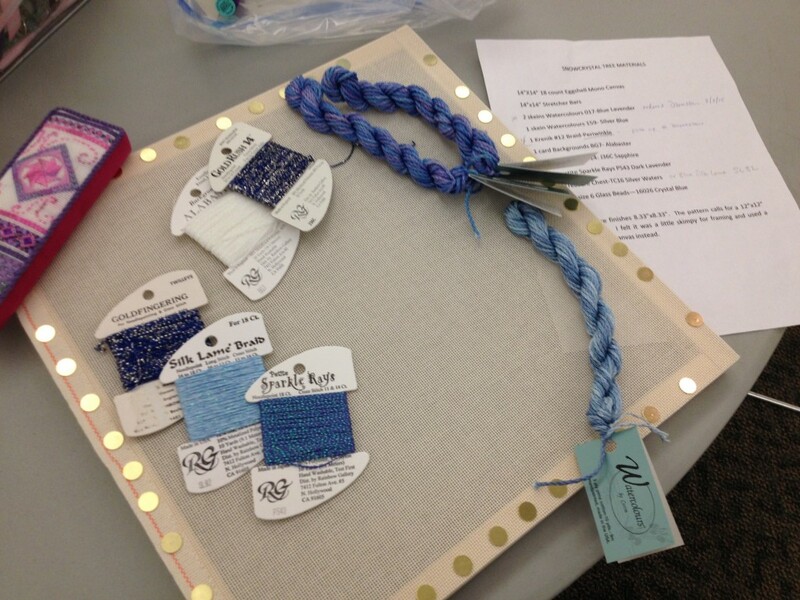 Stitchers, how far have you progressed on this beautiful project? It is a counted-thread design with several sparkly and metallic threads used. 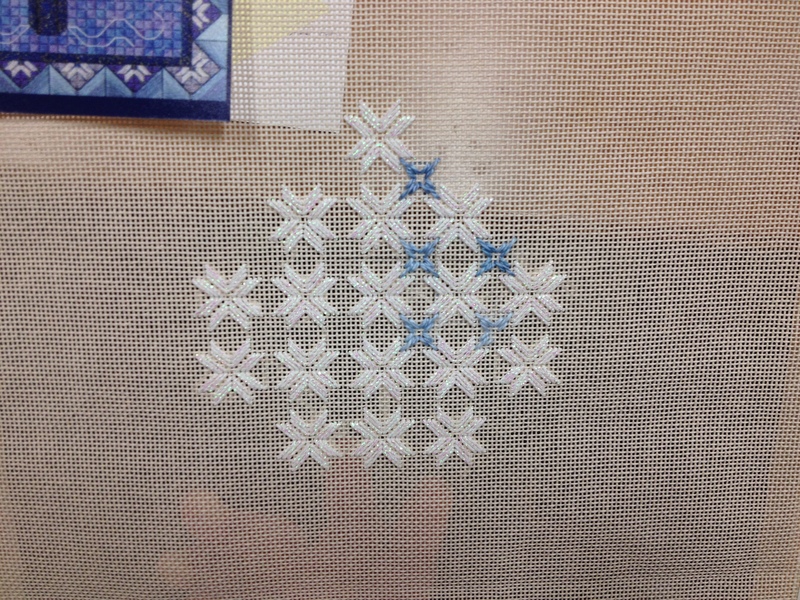 When finished, it makes a snowy winter scene which can be enjoyed all season, no matter the holiday. OCTOBER 19: Last touches of ‘Snow Crystal Tree’ will be added — think beads and sparkles! This piece is a wonderful winter design, so it can be enjoyed all season.